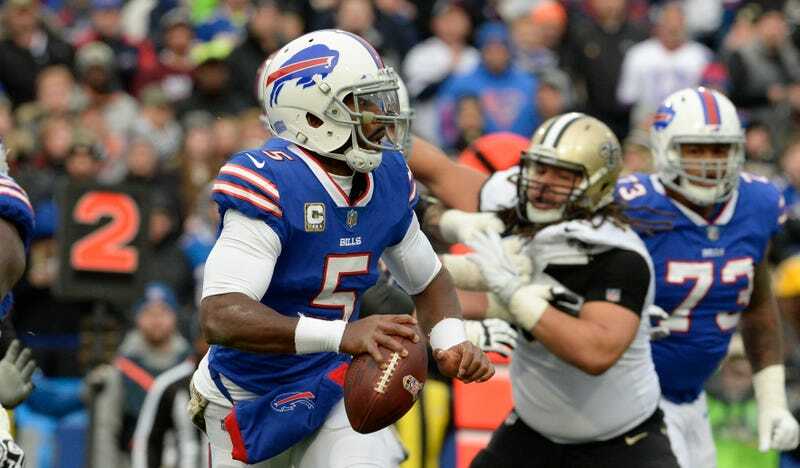 Taylor threw for 285 yards and two touchdowns in the Bills’ Week 9 loss to the Jets, and he managed just 56 yards and an interception before getting pulled part way through Sunday’s blowout loss to the Saints. He wasn’t spectacular in either game, but he also wasn’t responsible for the 81 combined points the Bills surrendered. Taylor probably isn’t good enough to ever make the Bills look inarguably stupid for always being so dissatisfied with him, but he doesn’t need to be that good for their continued desire to ditch him to be puzzling. Tyrod Taylor is a perfectly functional quarterback, and the NFL isn’t a league in which teams can really afford to jettison players like him in favor of Generic Backup Quarterback No. 234.